This is one of my favorite sites for inspiration. I always wish I could photograph people this creative on Dallas streets. 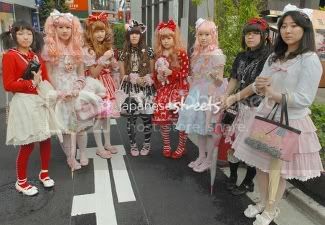 *le sigh* But how would everyday people react if they saw Lolitas like these walking down the street? Oh, wait - they stare, sometimes they make faces. It happens at every convention. People seem more use to it now, especially in Downtown Dallas. Fluffy dresses, neon spandex, and spikes in strange places. I do think, though, from looking at other fashion blogs, people in the DFW are very conservative. 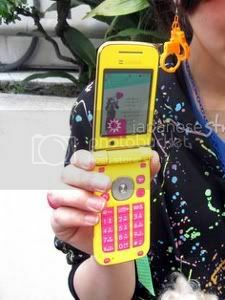 I also saw this phone while browsing. O__O I like! Come on American phone manufacturers - stop making everything so black and silver and boring!!! Let's start a petition lol. 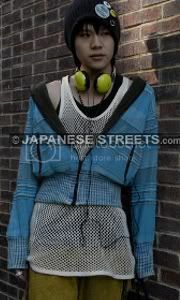 Sigh, Japanese street style is always the best. 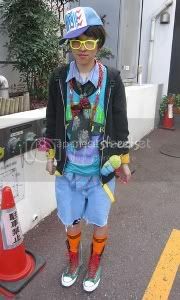 Why can't people dress like that in North America?